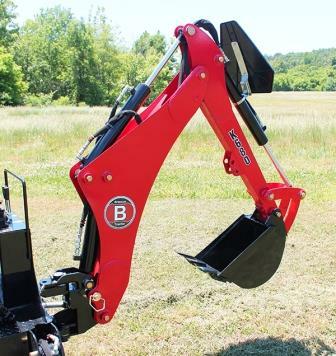 Branson Backhoes are designed with the operator in mind. It is easy and quick to attach and detach them from the tractor. Backhoes are powered by the tractors’ hydraulics, no need to struggle hooking up an auxiliary hydraulic pump. Transportation (max.) - 66 in. Transport overhang - 38 in. Shipping (less bucket) - 725 lb.